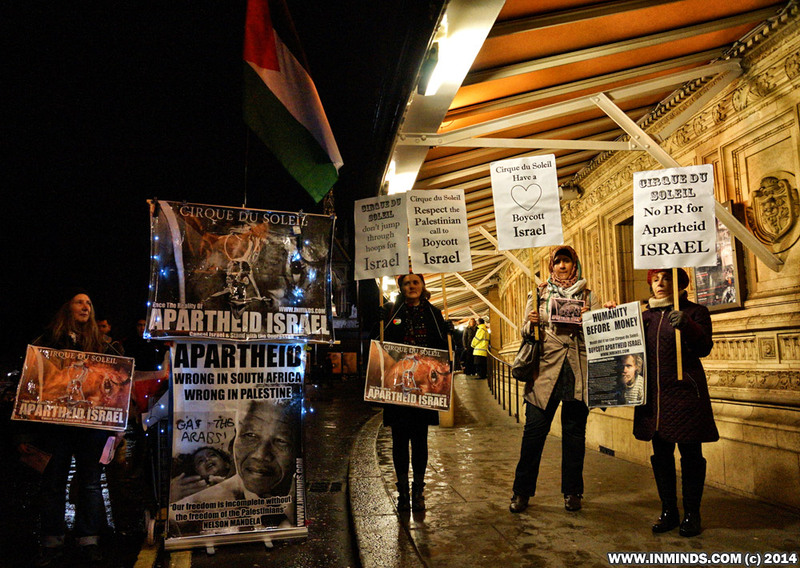 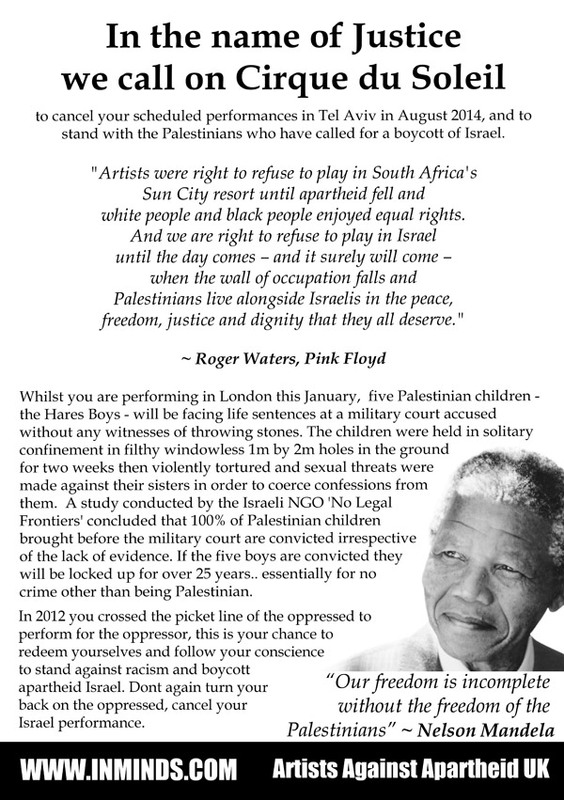 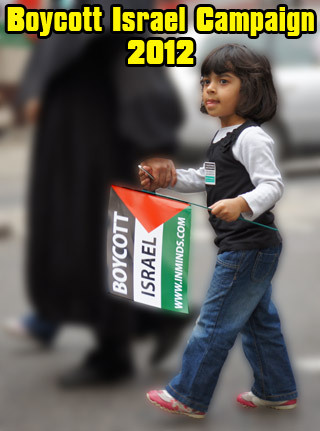 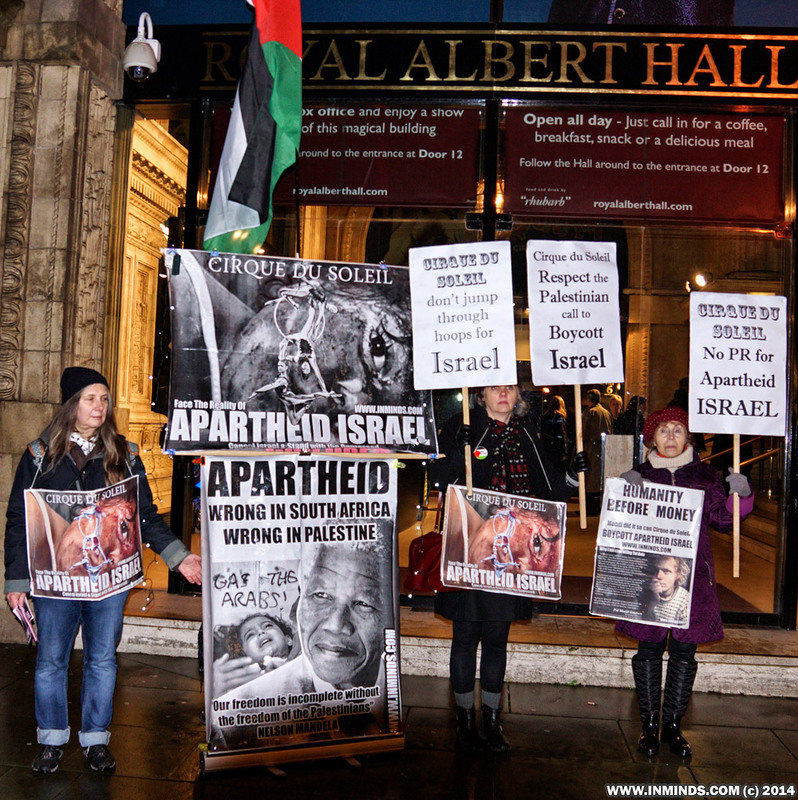 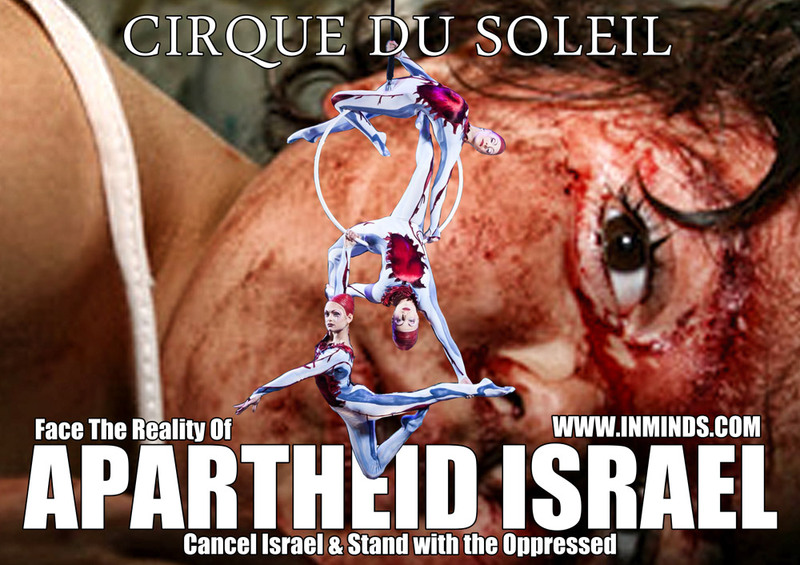 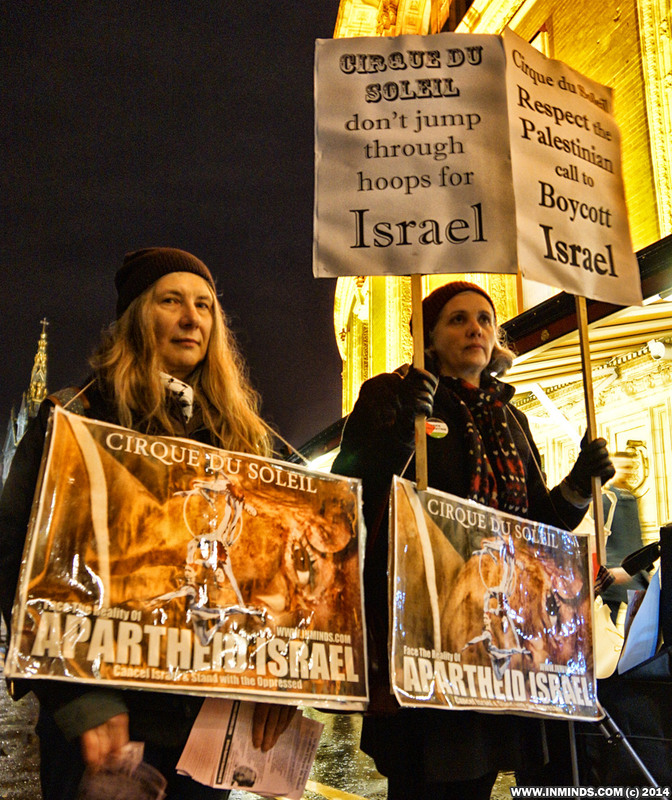 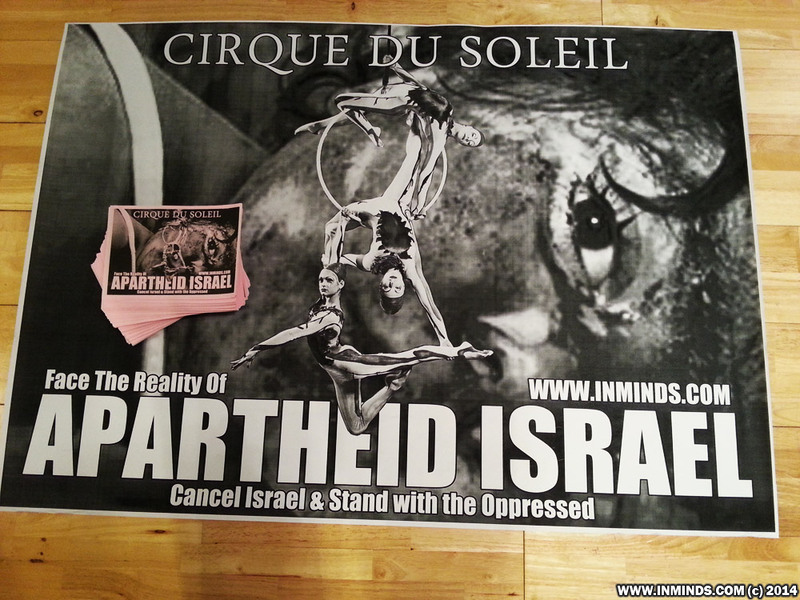 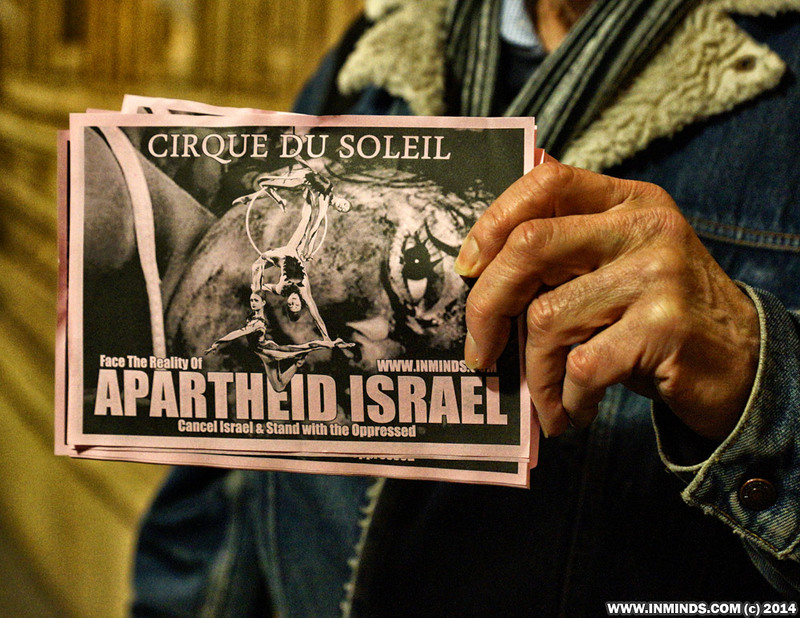 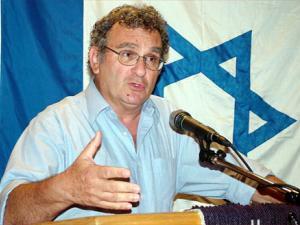 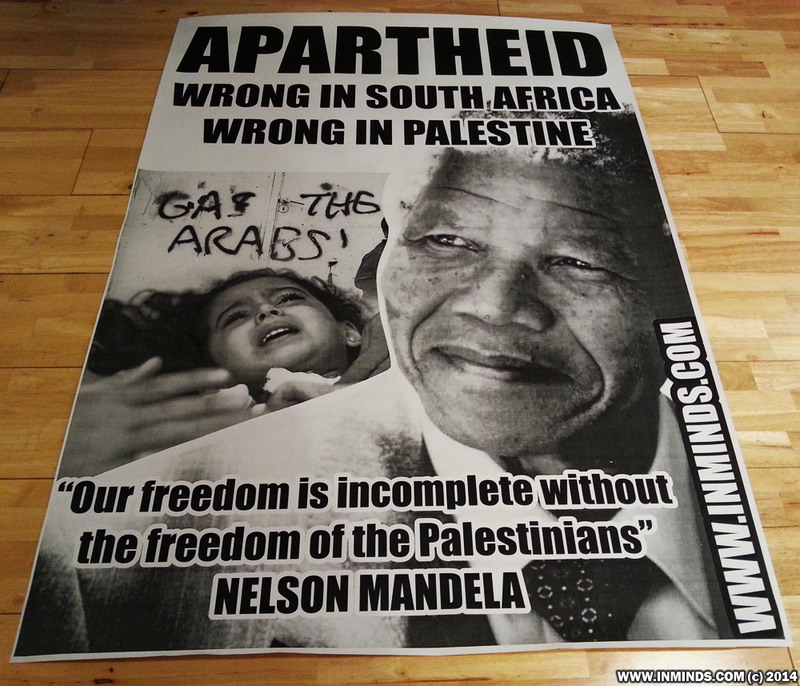 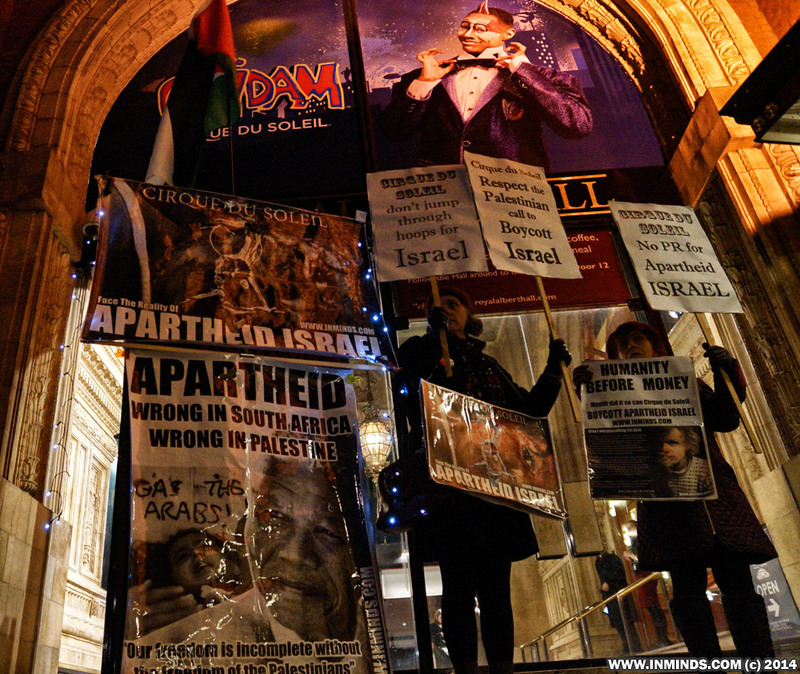 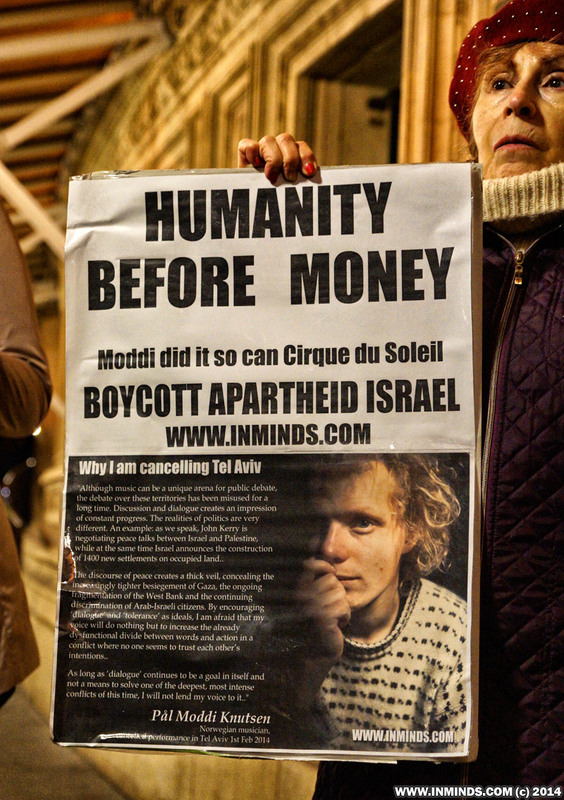 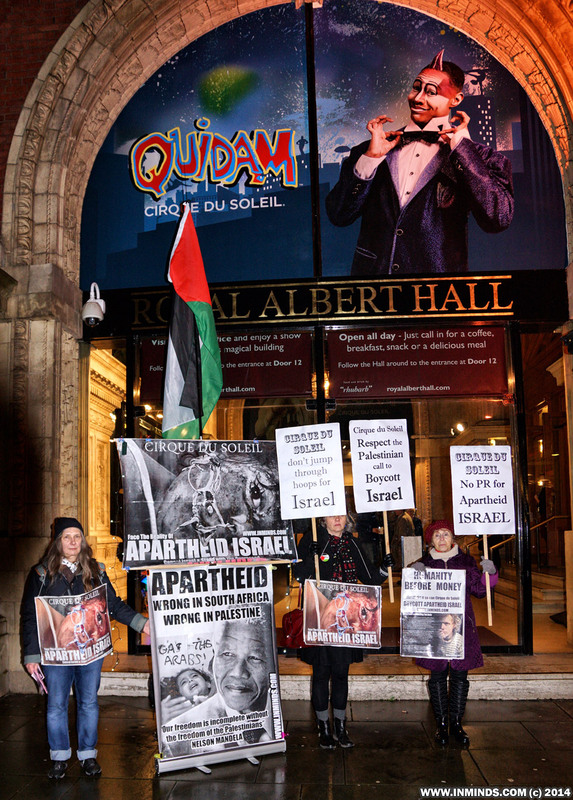 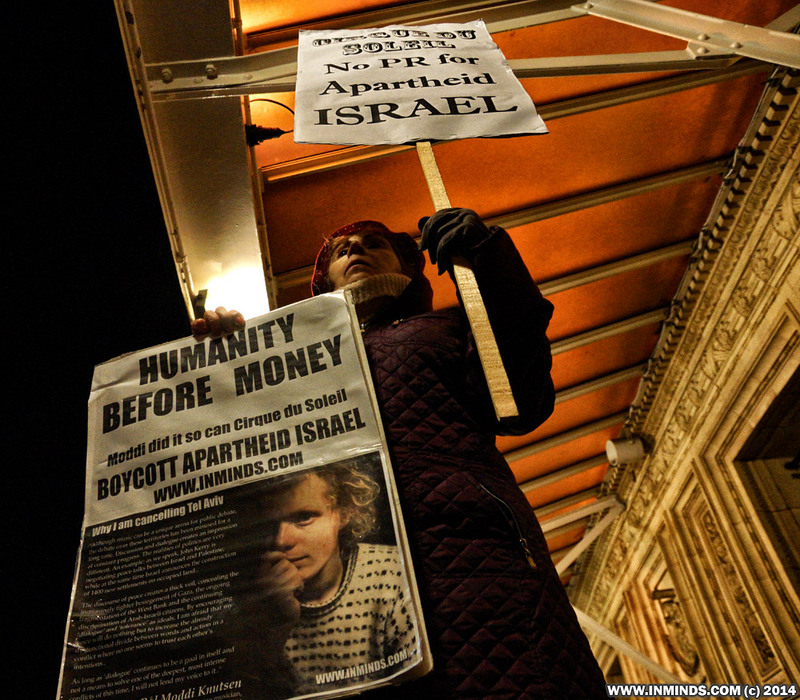 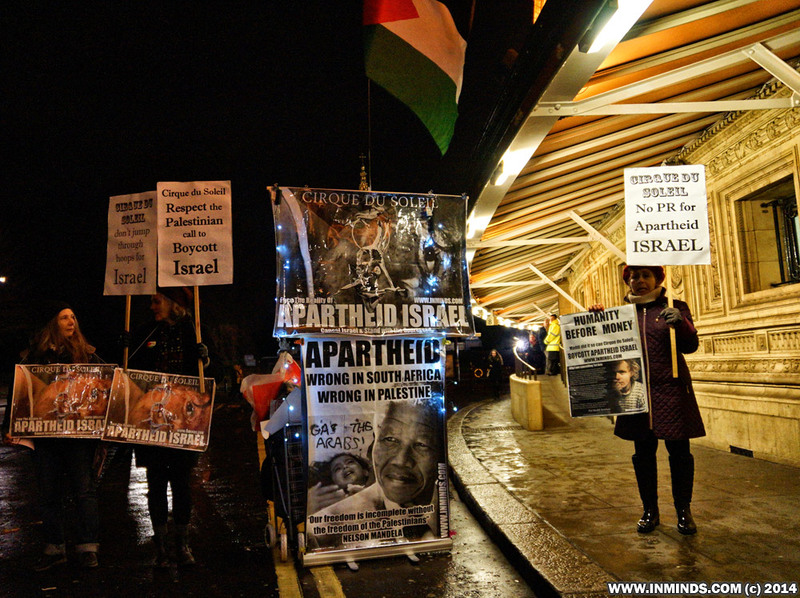 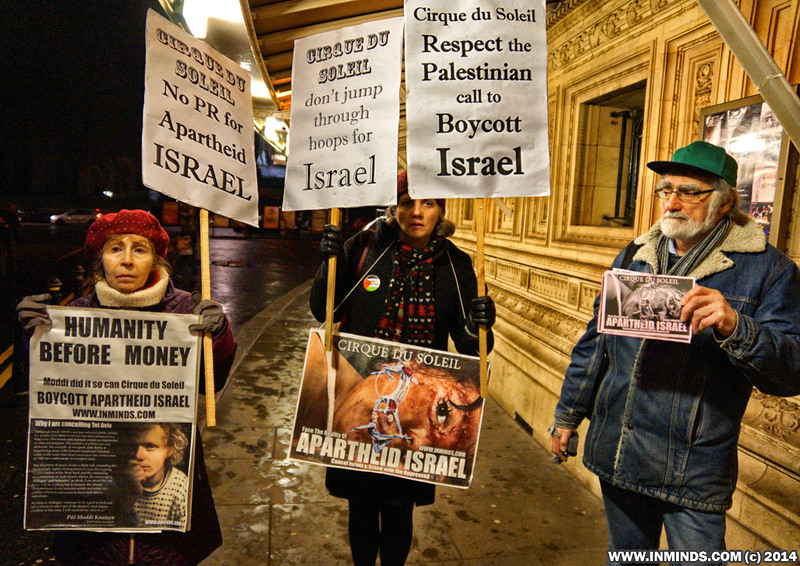 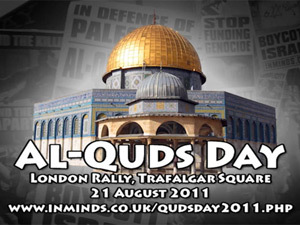 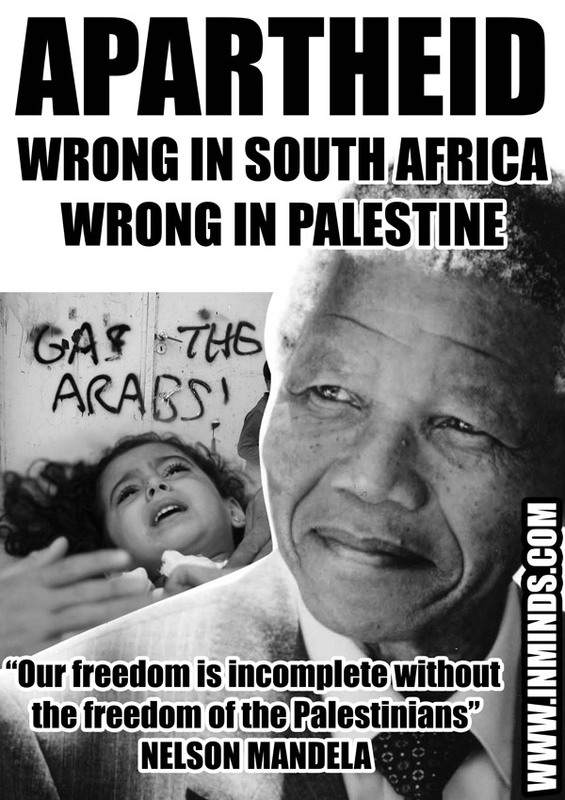 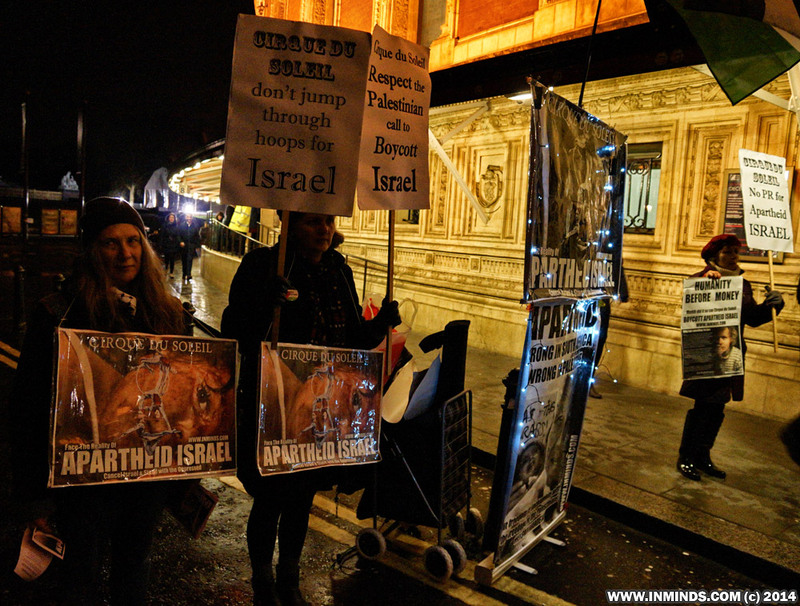 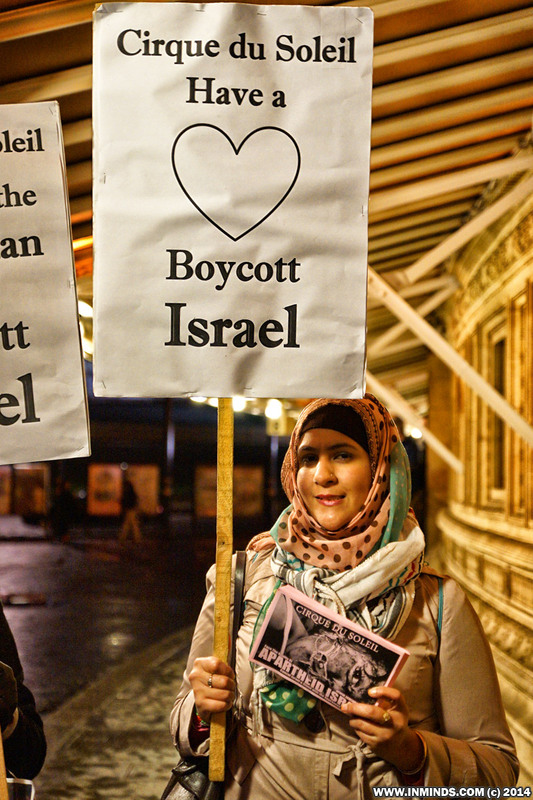 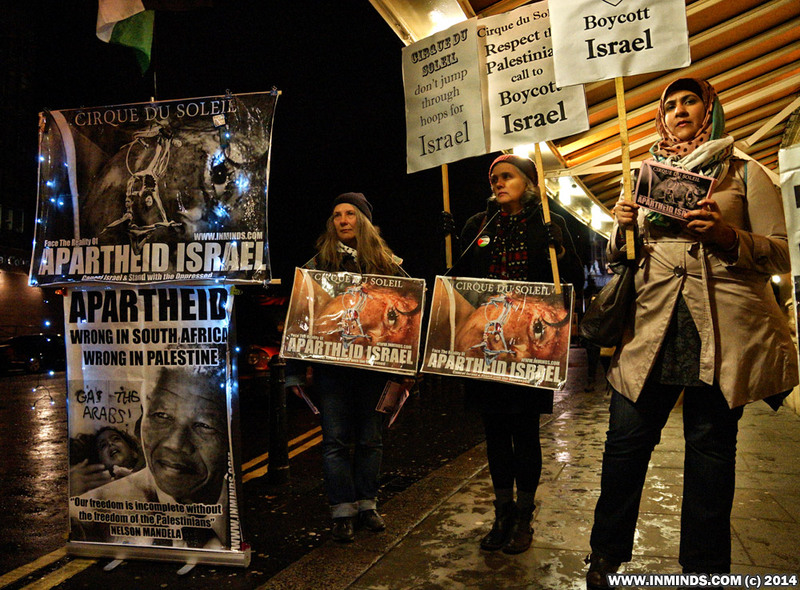 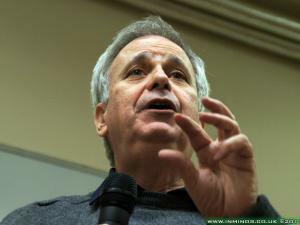 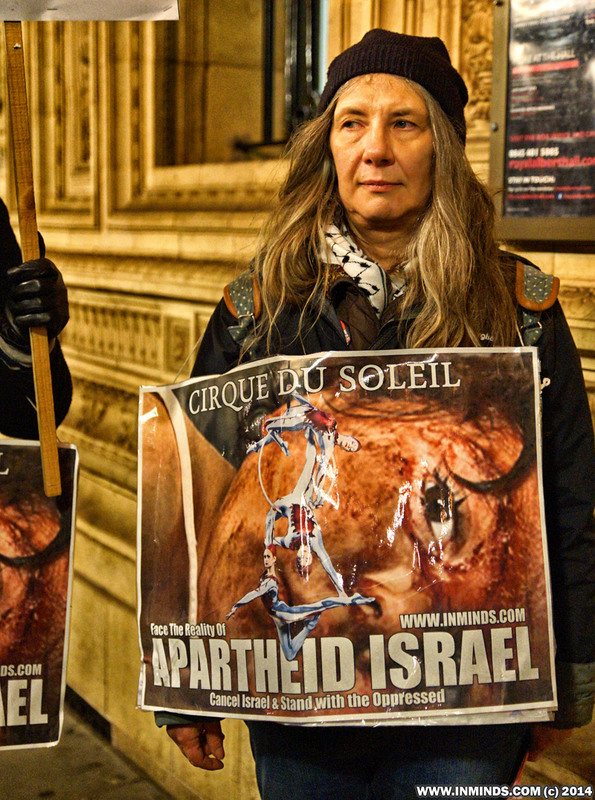 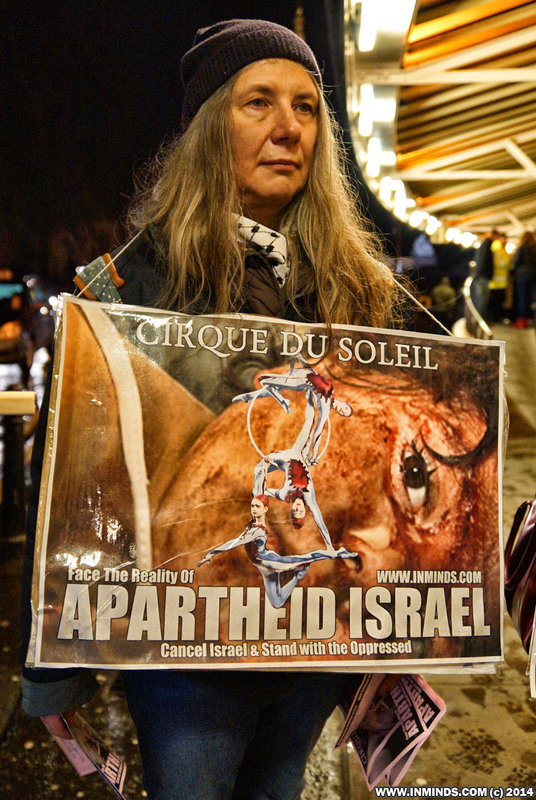 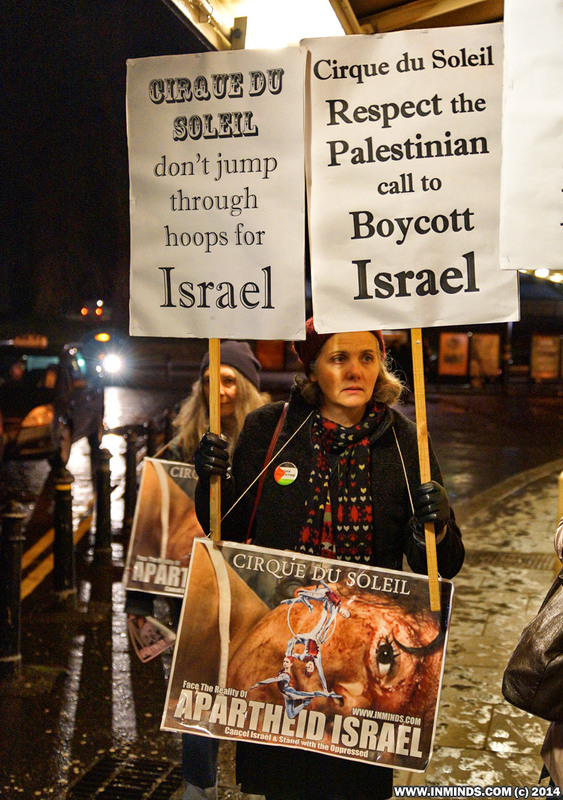 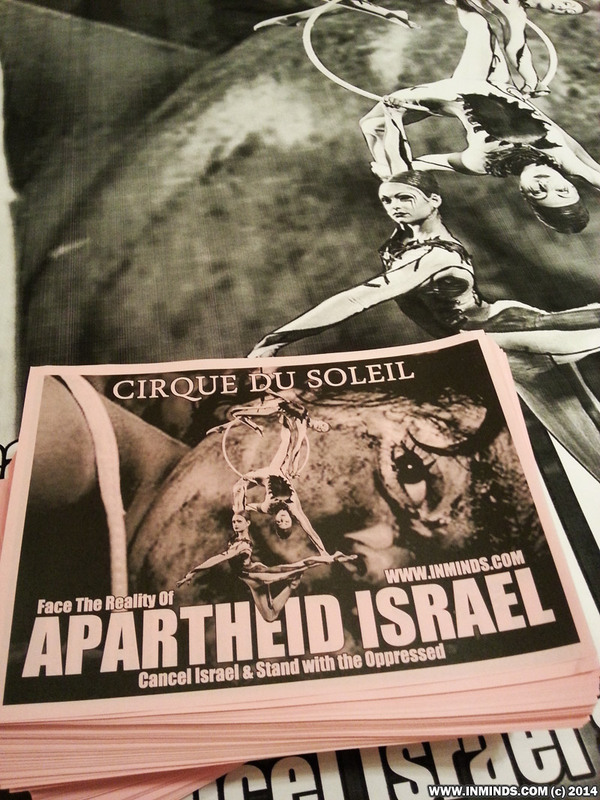 On 4th January 2014, activists picketed the opening night of the Canadian contemporary circus Cirque du Soleil 'Quidam' performance at the Royal Albert Hall in London, urging them to respect the Palestinian call to boycott apartheid Israel and cancel their scheduled performances in Tel Aviv this summer. 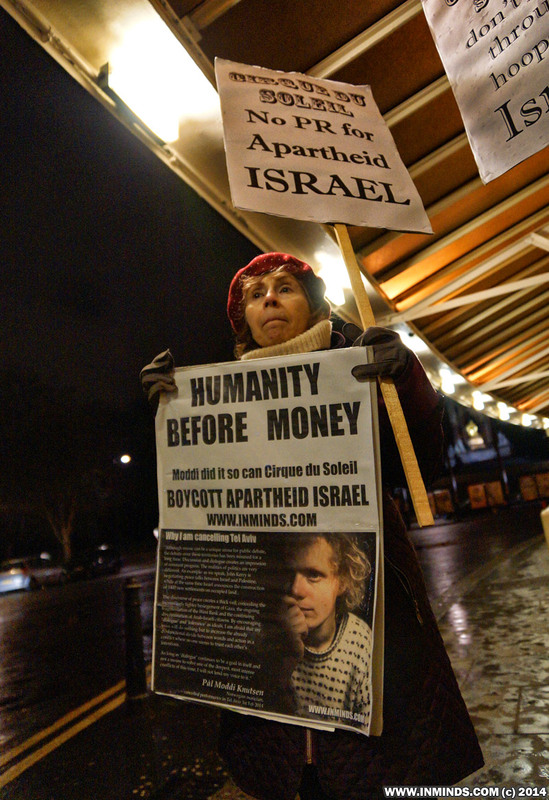 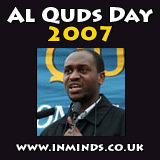 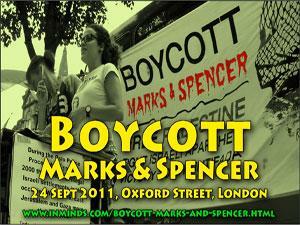 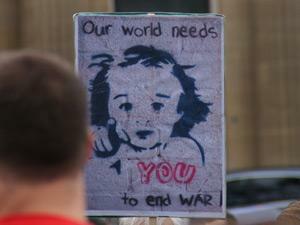 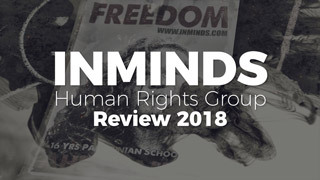 The picket was organised by Inminds. 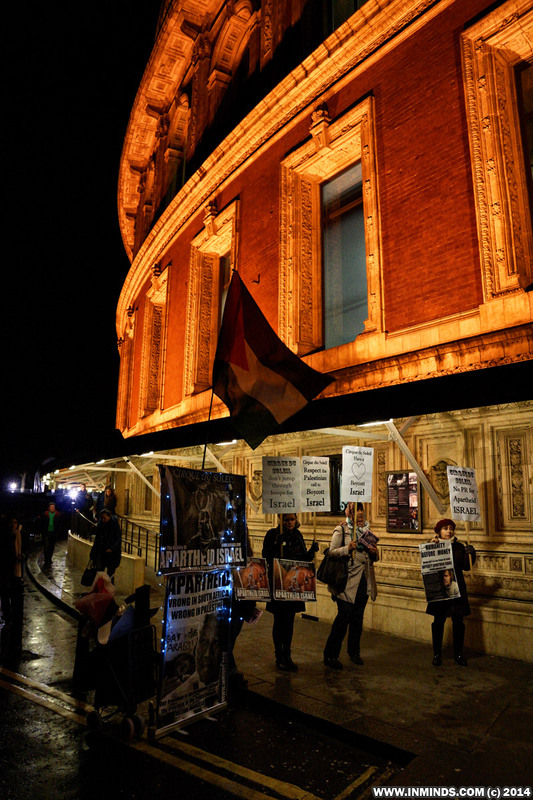 It was a particularly difficult venue to picket as the Albert Hall has 12 entrances and every time we set up at one of the main entrances and started leafleting the security would open a side entrance and usher people to use that instead of passing our protest. 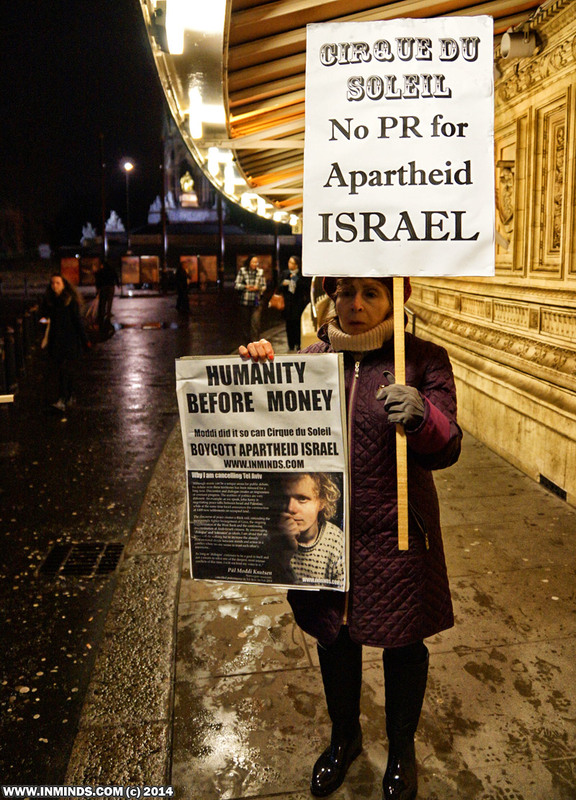 They were also seen talking to the police who pointed out to then that we were on public land and had a right to be there. 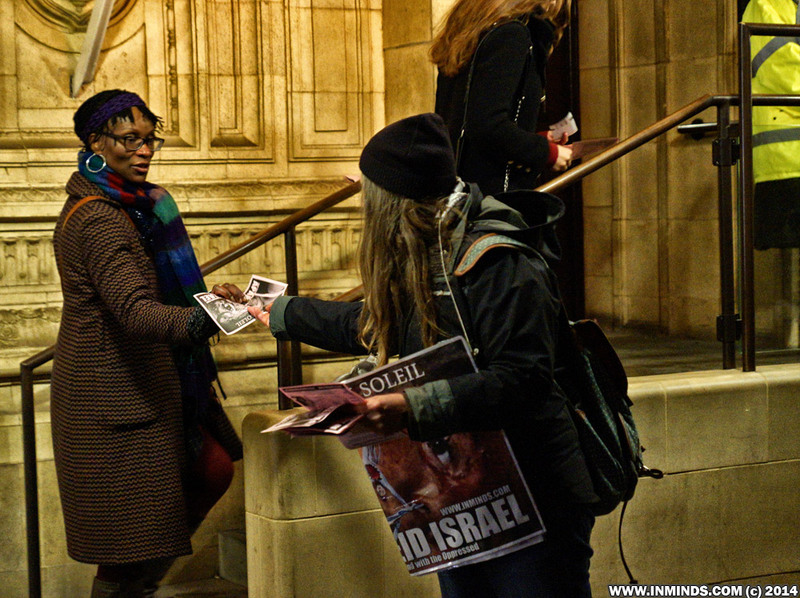 Despite these tactics we managed to give out hundreds of leaflets and the overwhelming response from the show goers was very positive. 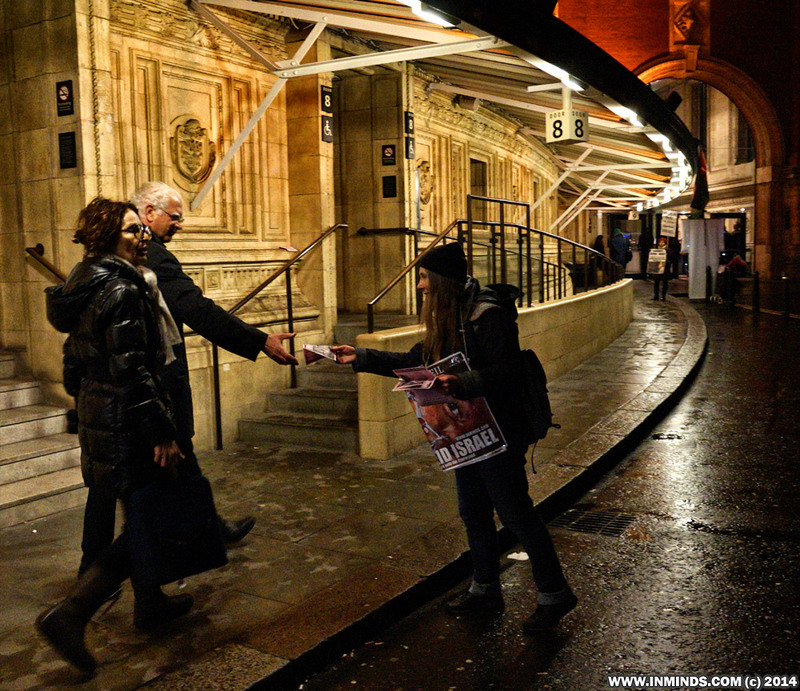 Interestingly we met some of the performers of the Cirque du Soleil who had sneaked out of the side entrance for a quick cigarette before the show started, they were were very receptive and took our leaflet and said they would rise the issue with the management at their next meeting.